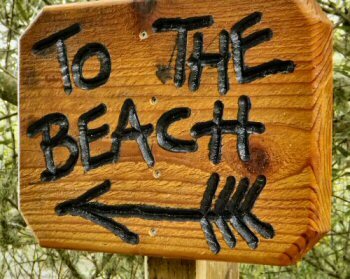 A Central California Beach Vacation - because we're all individuals, our idea of a perfect beach holiday varies. This guide helps you sort it all out and create a getaway that's best for you. A California beach vacation - There is something quite special about that thought that attracts nearly everyone. 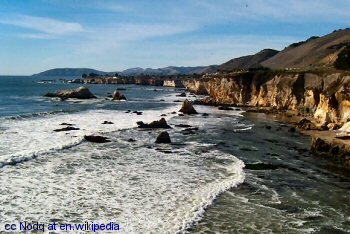 Although California geography features nearly every sort of terrain, nothing "says" California more than its beaches. 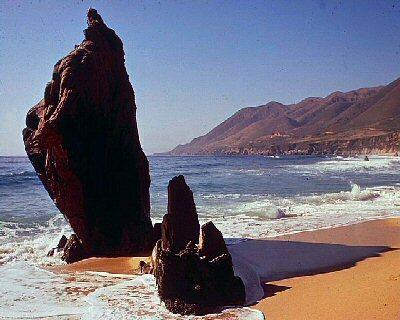 It hardly matters what that attraction is exactly - I don't worry about it, I just enjoy the beaches in Central California, anytime of year. And I can't go too long without a dose of ocean. Maybe your "dose" of beach includes a nice walk at the surf line on a broad, sandy stretch. Perhaps it is hiking along a deserted shore or taking your dog for a stroll at sunset. Maybe you find relaxation in fishing from a pier or exploring Central California history at a 19th century lighthouse. Summer time is typically the beach season, but we find that every season has its own charms at the shore. Autumn is still warm, the crowds are gone and you can have the beach to yourselves. Winter can be stormy and chilly, but exciting watching the waves pound the rocks after crossing the expanse of the Pacific. Spring alternates between stormy or sunny and wildflowers and green hillsides make a wonderful contrast to the blue sea. Is there a bad time to visit the beaches of California? 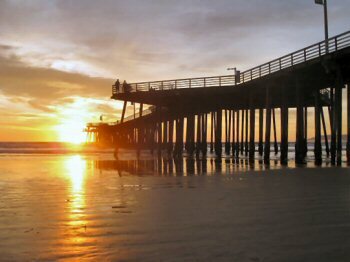 Each of the different central California beach cities has its own character and charm. One of them will be sure to suit you and reward you with a memorable visit. Any activity, any time of the year at any of the dozens of beaches in Central California - there is surely something that will engage you and add wonderful memories to your California beach stay. Because it is so unique and exceptional, Big Sur and its beaches are covered in their own sections. Follow the links below to discover which beach or beaches will be "just what the doctor ordered" for your Central Coast beach vacation. ...And for a great beach vacation in the south-eastern United States, visit Destin Fla Wanderer's best beaches page. San Francisco Beaches - While the "city by the bay" isn't world-famous for its beaches, it does have them and some nice ones. If your trip to Central California includes a stop in San Francisco, I recommend that you check out this San Francisco Attractions site. It's good and filled with interesting and money-saving ideas for a SF visit.